Need assistance or have questions? We have your back! 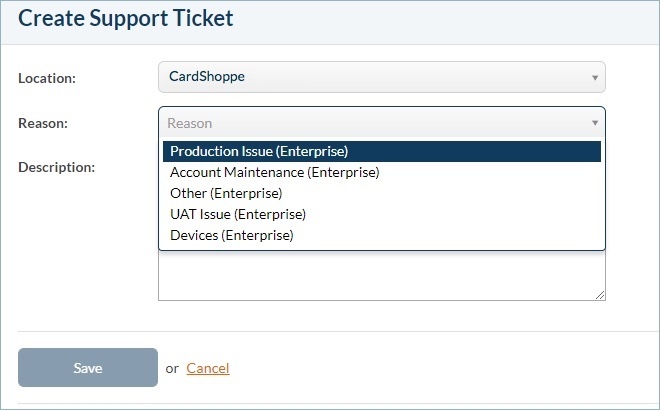 You can contact our Support team by submitting a support ticket within the CardPointe application. For an urgent Production issue, you may contact our support team directly at (484) 654-9600 in addition to submitting a support ticket. 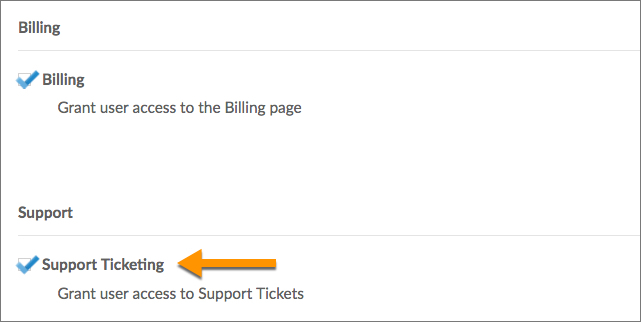 Admin Users: By default, "Admin" users have the ability to submit Support tickets. 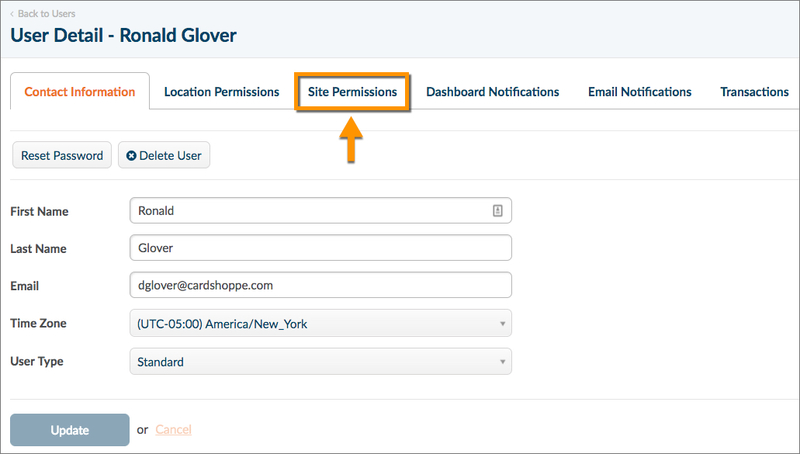 Standard Users: "Standard" users can also submit Support tickets, but they must first have their account permissions updated. 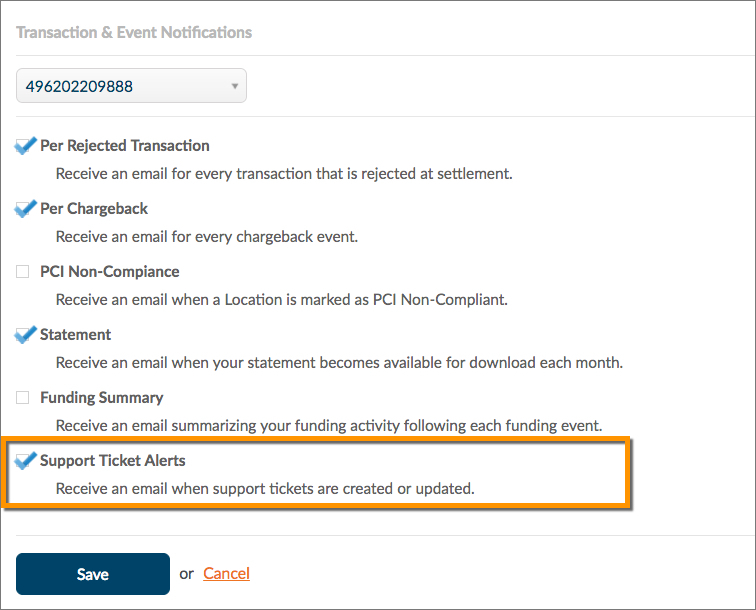 Note: If the "Support Ticketing" option does not display on the "Site Permissions" tab, please contact your Account Manager for assistance. Production Issue: The issue is impacting your ability to transact in production. Account Maintenance: You would like to make an update to your merchant account(s) and/or are requesting the creation of additional merchant accounts. Other: You have a question or issue that does not fit within any other reason category. UAT Issue: Your issue is impacting your ability to transact in UAT. Devices: Your have an issue or question that is related to devices. 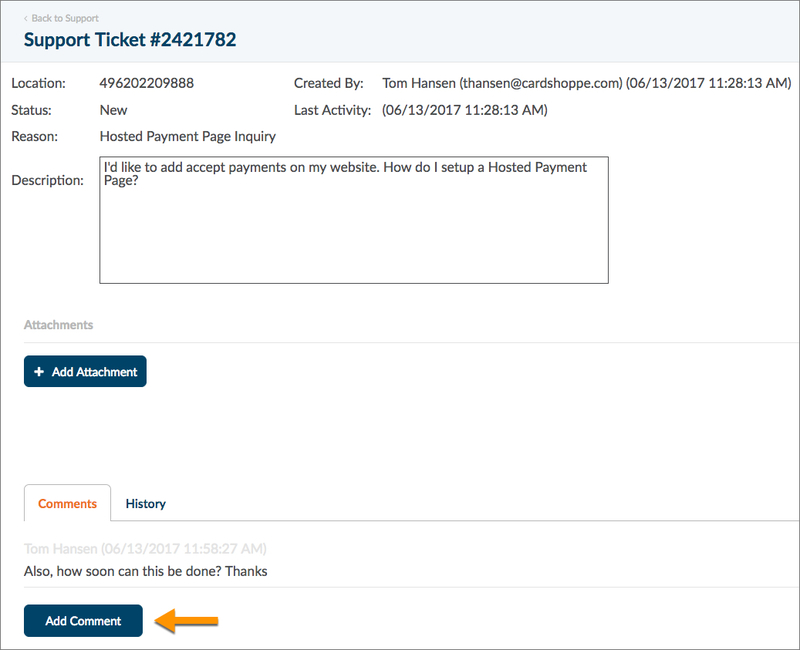 If you have attachments you would like to include with your ticket, click the ticket number of your newly created ticket. From there, you can add additional comments or Add Attachment. A member of our support staff will respond as soon as possible. If you would prefer to be contacted over the telephone, please include your contact information in the ticket description.